I MISSED National Quilting Day?!? 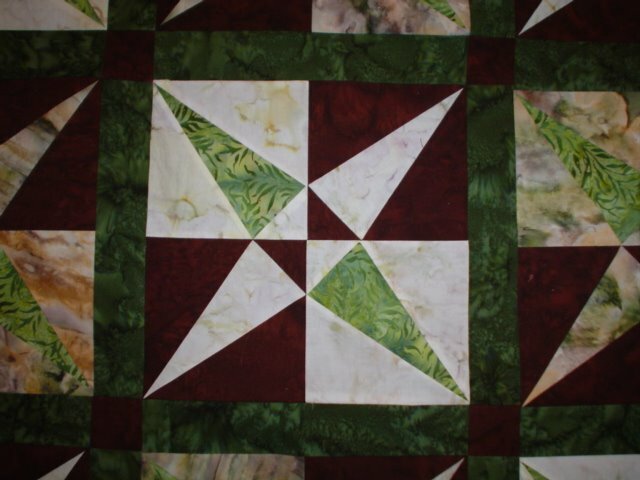 Here is a close-up of the block and sashing. I did it with paper-piecing. It’s entirely made of batiks, (My favorite!). And, of course, I had to design a border to bring the entire “outdoors” theme together! 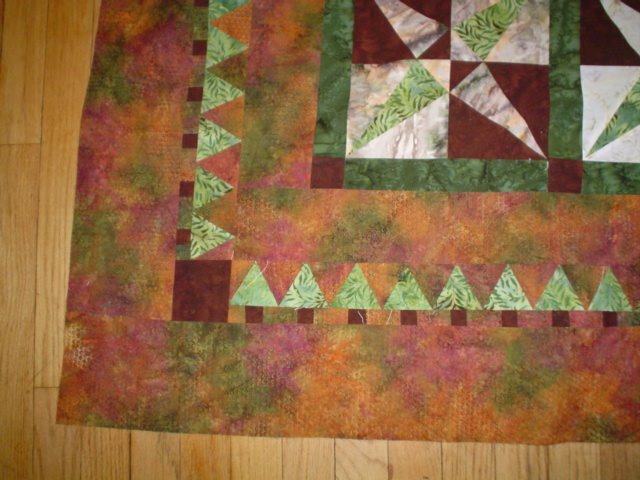 The binding will be the same fabric as the wide mottled border shown here, the back is a green batik. It’s queen size, and I think it turned out lovely–if I do say so myself! Can’t wait to see what Sue the quilter did with it!